Boston Downwinders of Mass. 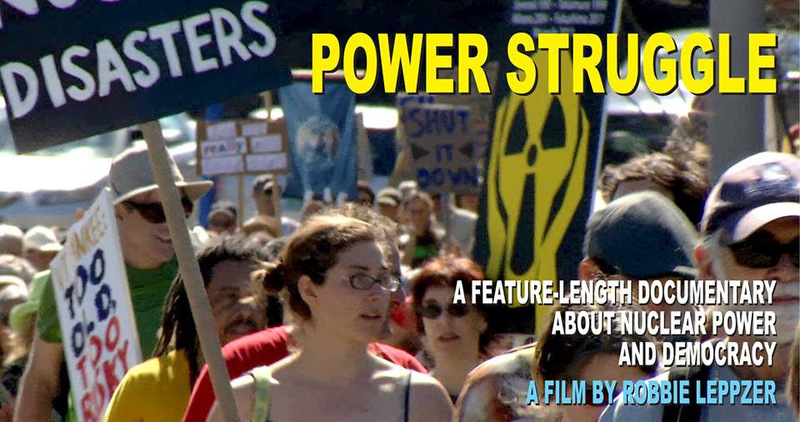 Peace Action is co-sponsoring the Boston premiere of "POWER STRUGGLE”, a full length documentary about the grassroots political battle to close Vermont Yankee Nuclear Power Station. The film will be followed by a discussion of the current status and planned shutdown of Pilgrim Nuclear Power Station in Plymouth, MA. Pilgrim Nuclear Power Station is 35 air miles from Boston and is rated by the Nuclear Regulatory Commission as the LEAST SAFE nuclear power plant in the country. With 46 years of high level nuclear waste on site, we are faced with the increased risks of decommissioning and the plant’s expected sale to Holtec. Now is the time to get more familiar with the issues and potential dangers. Please reserve your seats today. We look forward to seeing you at this exciting, important event! $10 in advance, $15 at the door, $50 supporters. No One Turned Away for Lack of Funds! Democracy prevails when a nuclear engineer turned whistle-blower, a 93-year old grandmother, and a scrappy new governor join forces with an array of activists to score a rare grassroots environmental victory in shuttering an aging nuclear reactor in Vermont. An even-handed, but at times humorous and terrifying chronicle of citizens who believe in the right to energy choices and to keeping their communities safe. Power Struggle chronicles the heated political battle to shut down the Vermont Yankee nuclear plant, located on the banks of the Connecticut River in southern Vermont. 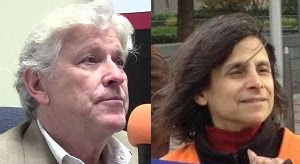 Filmed over five years, this feature-length documentary follows the unfolding drama as citizen activists and elected officials – alarmed at increasing safety violations – took on the federal government and one of the biggest nuclear power companies in America to call for closure of the reactor when its original 40-year license expires. 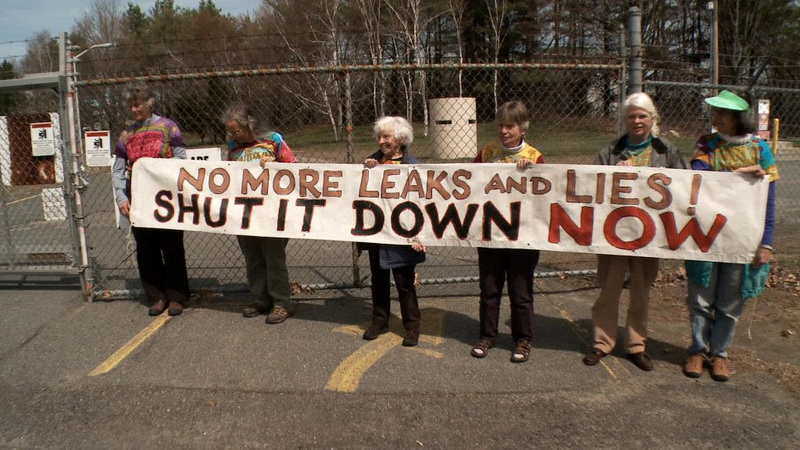 The film captures perspectives on all sides of the controversy, including from local residents both for and against nuclear power, elected officials, a Vermont Yankee spokesperson, federal regulators, and a nuclear engineer turned whistle-blower. A timely, inspiring story of democracy in action; about whether citizens’ voices will be heard against big moneyed interests, and what people are doing locally right now to make a difference for a safe and sustainable energy future. Power Struggle is also a warning about the toxic legacy of high-level radioactive waste that will remain at every nuclear power plant around the world indefinitely into the future. Directed and produced by Robbie Leppzer and Turning Tide Productions, based in Wendell, MA, in association with NHK (Japan Broadcasting Corporation). Running Time: 104 minutes. Robbie Leppzer is an award-winning independent documentary filmmaker and radio producer. His critically acclaimed feature-length and short documentaries along with television news magazine segments, have been broadcast by CNN International, NHK (Japan Broadcasting Corporation), the Canadian Broadcasting Corporation, HBO/Cinemax, PBS, CNN, Sundance Channel, HDNet, Link TV, Free Speech TV, National Public Radio, and Pacifica Radio.